New Zealand pine (Pinus Radiata also known as Monterey Pine), originated from the Californian coast and was introduced to New Zealand in the late 1850’s. Since its introduction radiata pine has undergone many changes, largely as a result of extensive research into selective breeding and intensive silviculture. 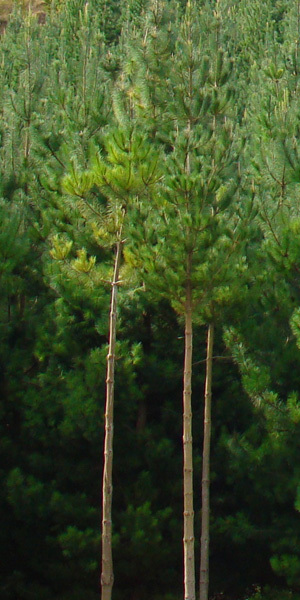 Radiata pine is now the world’s most widely established plantation softwood species. Significant plantings in the 1930’s established radiata pine as New Zealand’s primary plantation species with current plantations now exceeding 1.5 million hectares. New Zealand’s warm temperatures, fertile soils, and abundant rainfall has seen radiata pine flourish, and with an average harvest age of 28 years, New Zealand radiate pine has become one of the most attractive, sustainable and versatile softwoods available.